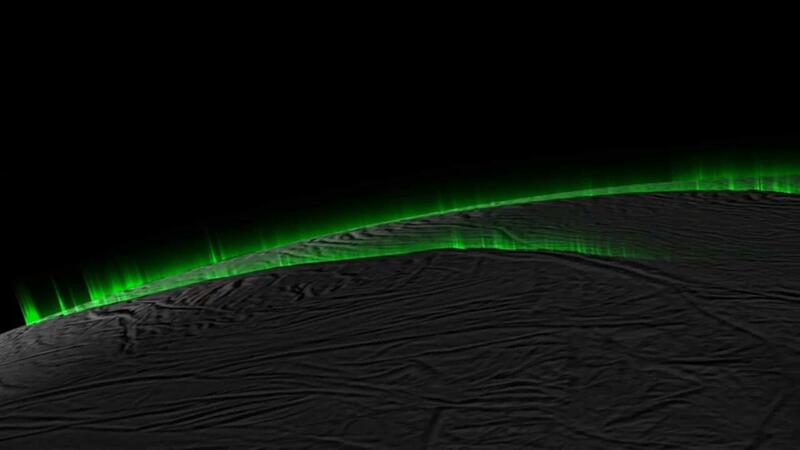 Starting yesterday, the Cassini spacecraft is making the first of three scheduled close flybys of the moon Enceladus, which will provide the first good look at the north polar region of the tiny, water-spraying moon. These will be the final close-up views of this fascinating world during Cassini’s mission, and may help scientists to better understand the potential habitability of Enceladus, which has become a primary target of interest in the search for evidence of life elsewhere. 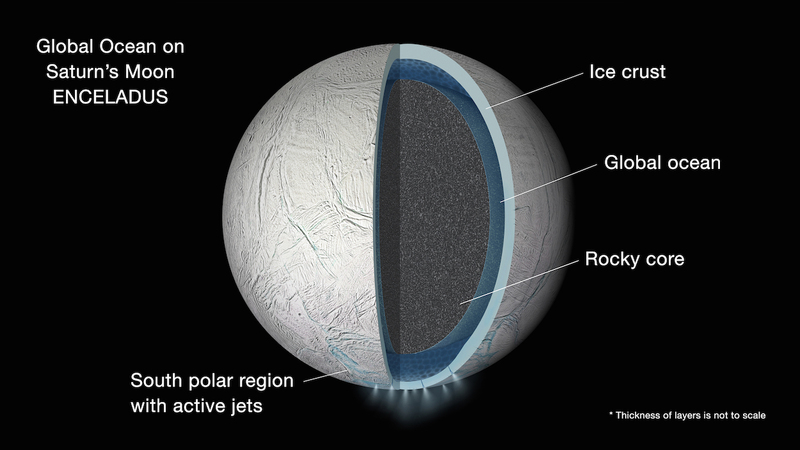 Along with Jupiter’s moon Europa, Saturn’s moon Enceladus is considered to be one of the best places to look for evidence of life elsewhere in the Solar System, since both moons are now known to have liquid water beneath their icy surfaces. 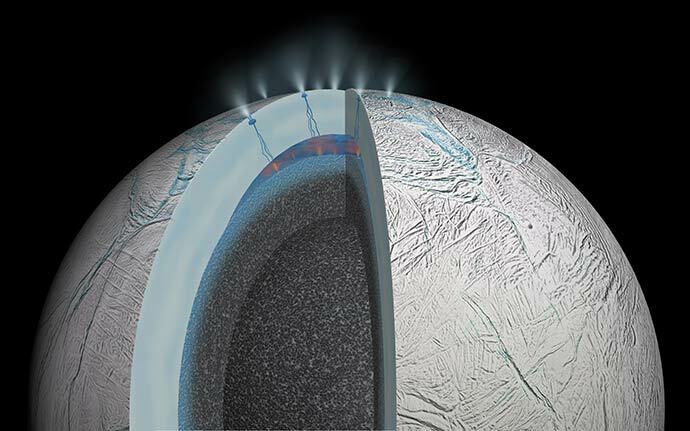 Now, new evidence suggests that Enceladus may be an even better candidate than first thought: data from the Cassini orbiter shows that the moon harbors a global ocean of water beneath the ice crust, just like Europa, instead of a smaller sea beneath the south pole as previously believed. 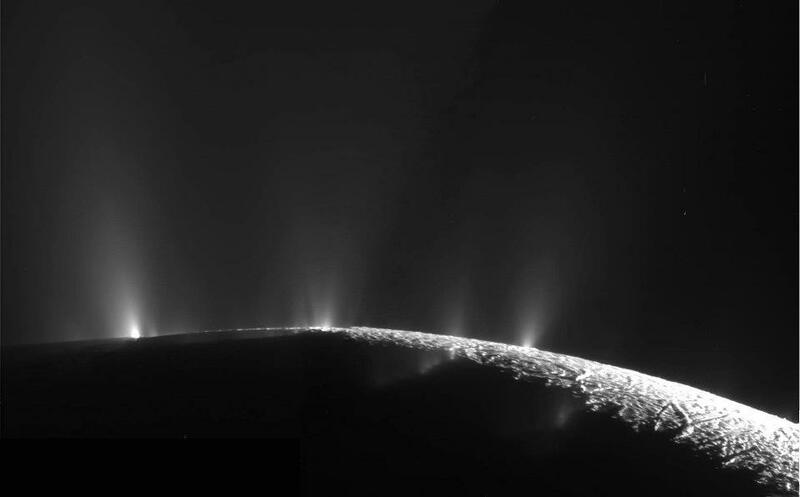 The water vapour geysers on Saturn’s moon Enceladus are one of the most fascinating phenomena in the Solar System; the jets spray far out into space in a dazzling display unseen anywhere else. Known to emanate from the “tiger stripe” fissures at the south pole, they were thought to be separate, distinct plumes erupting from the surface, but now scientists think that they might actually be mostly broader, more diffuse “curtains” of spray along the length of the fissures. The deep oceans on Earth are teeming with life, despite the cold and darkness, thanks to hydrothermal vents which provide needed heat and nutrients in an otherwise rather uncomfortable environment. 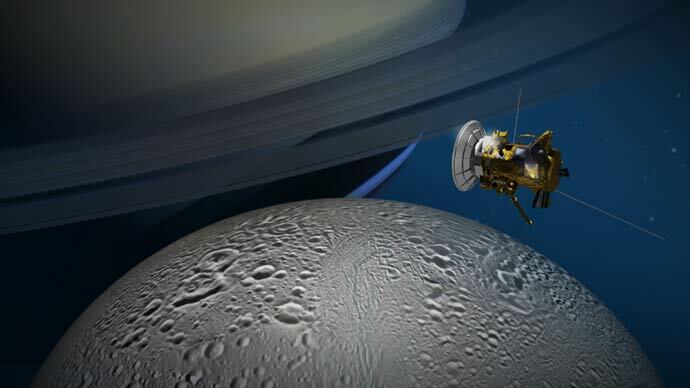 Now, the first evidence has been found for current hydrothermal activity elsewhere in the Solar System: on the ocean bottom of Saturn’s moon Enceladus. Along with Jupiter’s infamous moon Europa, Saturn’s moon Enceladus is one of the most fascinating places in the Solar System, with its huge geysers of water vapour erupting from cracks in the surface at the south pole. 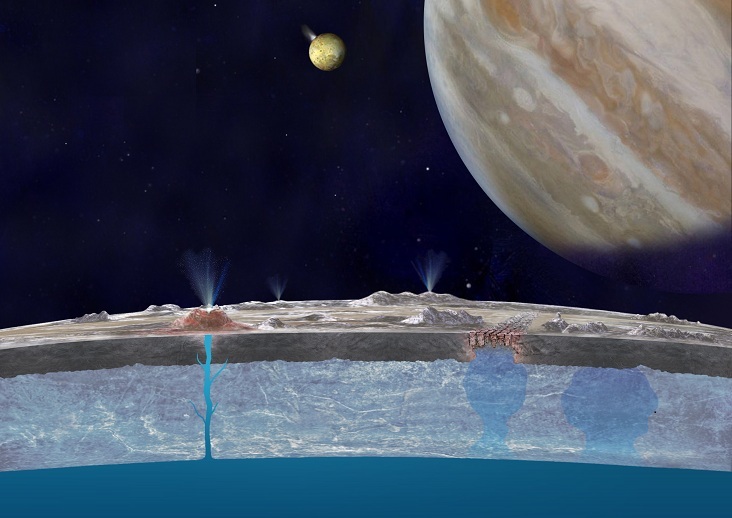 The massive plumes are now thought to originate in a subsurface ocean or sea of salty liquid water, similar perhaps to Europa’s underground ocean. 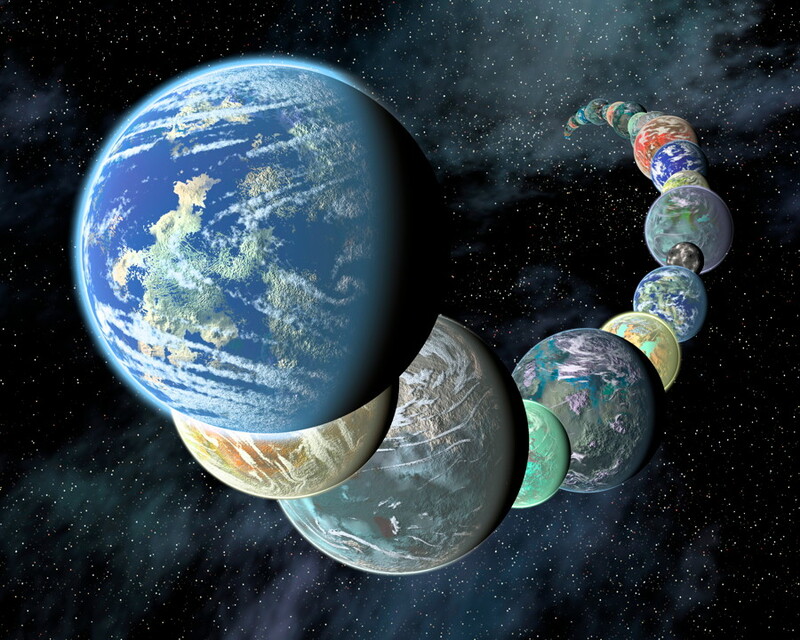 Now, new analysis is providing a more detailed look at the chemical makeup of this unique alien environment and its potential to support life.